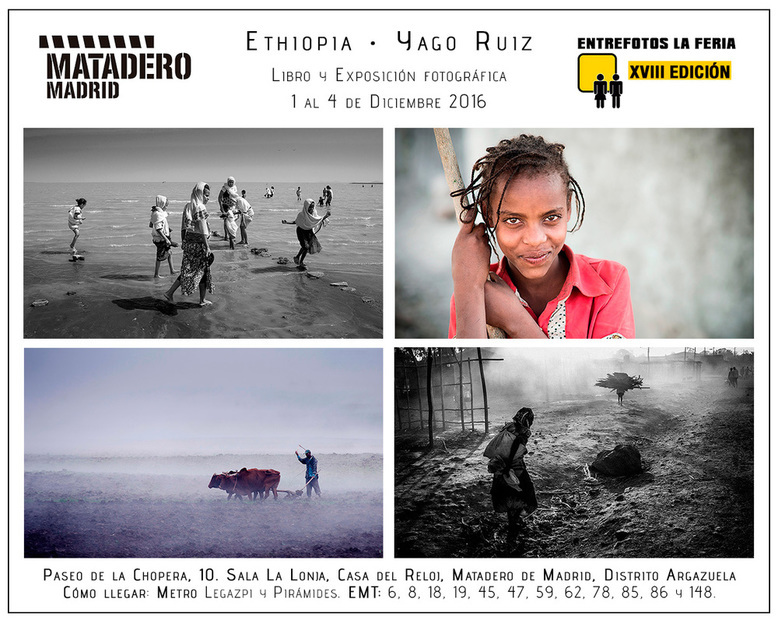 ETHIOPIA book will be released in entreFotos Photo Fair, from December 1st to 4th, in "La Lonja - Casa del Reloj" Art Room, Matadero de Madrid. The release will be accompanied by a photo exhibition with pictures in colour and monochrome. From 12-12 to 05-01 there will be exposed some photographs related to Mary Help College, in order to collaborate with the Salesian Sister's Mission, Meaning presents a Pop Up Store for selling different products. 10% of the sales of the products will go directly to the mission. I'm contributing with some photos to show where and who will receive the money, the people of Zway!